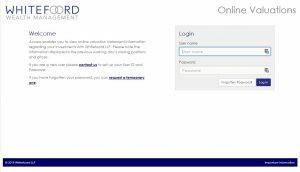 We are very pleased to announce the launch of our next generation secure Whitefoord Client Portal. It will provide immediate access to information when and where it suits you, and will be available on any type of device. The Portal will make it easier for you to see how your investments are doing, and you can view the underlying portfolio holdings, which will be updated daily. It will replace our existing online valuation system and secure email facility, using the latest technology to deliver a clear, uncomplicated view of your investments. It will keep your important financial documents safe, secure and accessible, and be the central place to access valuation reports, tax packs and confidential documents. Whenever we need to send you a document, you will receive a notification telling you it is waiting for you. Simply log in to the Portal from any device and you can read it at your leisure. You will also be able to upload your own documents for safekeeping, whether that be copies of insurance documents, end-of-year tax statements, or even your Will. Think of the Portal as a secure digital filing cabinet that can help make life easier and keep your finances organised. The Portal will support secure two-way communication between us, enabling you to correspond with us electronically without the concerns about confidentiality that standard email currently brings. 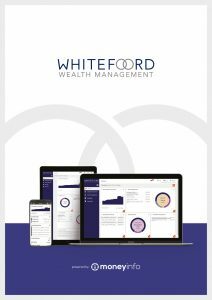 Our aim is for the Whitefoord Client Portal to become the focal point for all your financial information and communications. In due course, you will be able to link up other non-Whitefoord financial products such as bank accounts, credit cards, investment bonds and even the value of your house. You will of course have full control and discretion over what parts Whitefoord has visibility. We hope over time this will enable you to use the Portal as your very own financial “dashboard”. As well as being available on your desktop, in response to our increasingly mobile world, the Portal can also be accessed on tablets and smartphones via the new Whitefoord App. It will be easier than ever before to keep track of your investments, at any time, wherever you are. If you are already registered on the latest client portal, click the below image. To access the legacy daily valuation portal, click the below image.